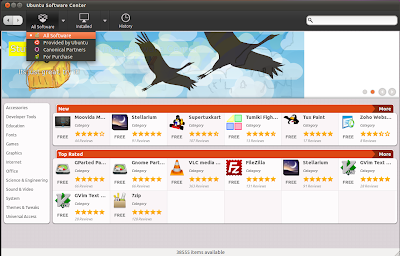 Ubuntu Software Center is getting a complete makeover in its GTK3 avatar and first tech preview of this whole new look landed today in Ubuntu 11.10 Oneiric Ocelot. 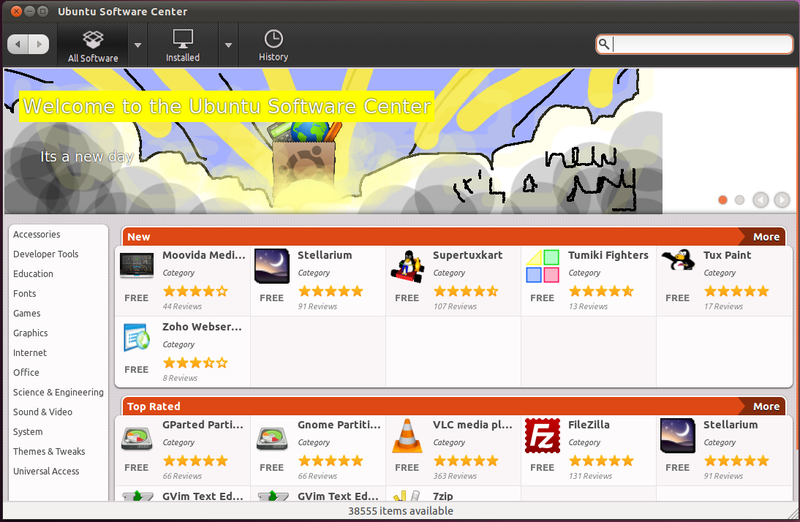 Being just a tech preview as of now, the current Software Center is still there by default. 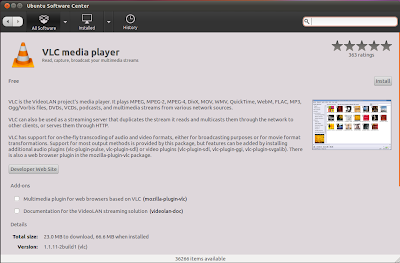 However, the demo can be launched by running the command software-center-gtk3 from the terminal. The new interface features a carousel at top for banners and featured items. 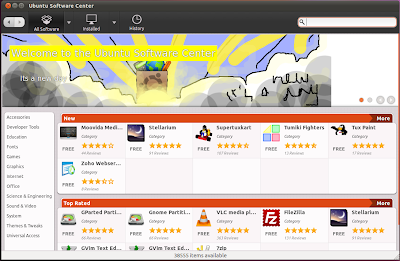 Software categories have been moved over to the left with New and Top Rated apps section at the center of the main home page. Many sub-categories have their own top rated section now. 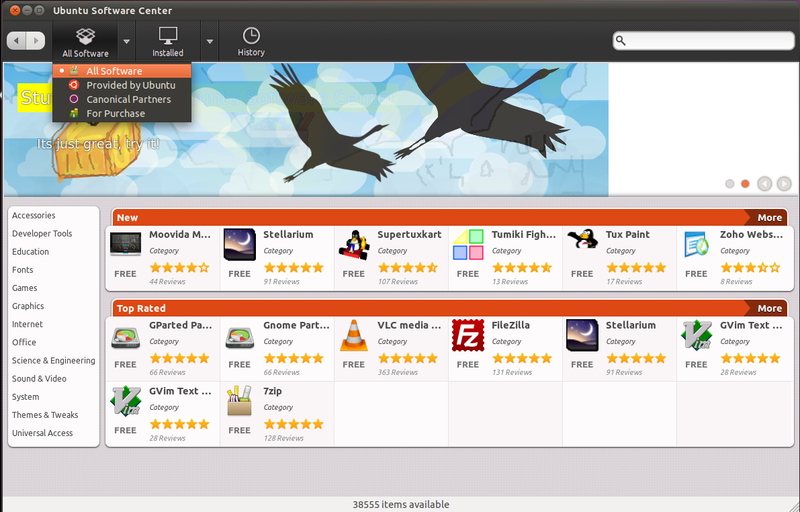 The current sidebar in Ubuntu Software has been removed completely and a new new toolbar with drop down categories have been added at the top, giving a much cleaner look. Though the interface is lot better than earlier and application discovery has improved greatly, the app browsing experience and scrolling is extremely slow and buggy. Many times reviews failed to load completely and clicking on buttons did not work. This is quite visible in video below but since this is just for testing purposes and far from being complete it will be improved overtime. 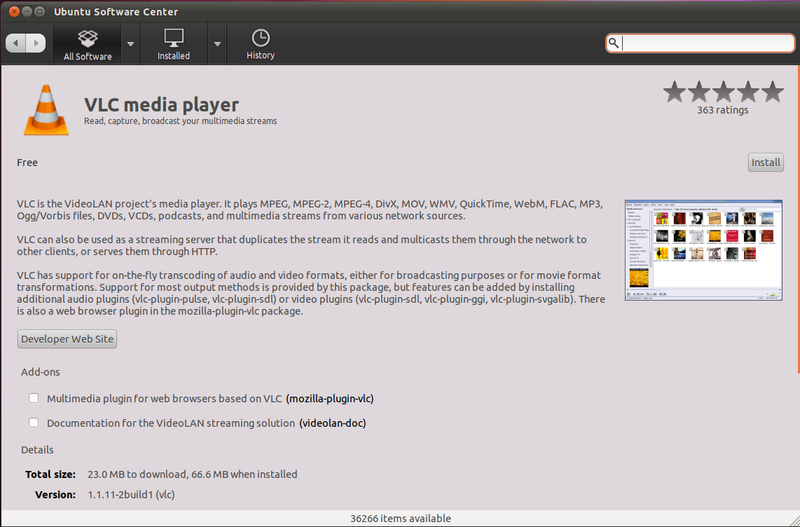 Will it be default in Ubuntu 11.10 or not is questionable at the moment.